"'A lot more people were living on the edge than we ever even anticipated,' Haynes said. 'So many people were just barely making it. It's absolutely shocking.'" "There is no normality and no recovery. You cannot spend your way into recovery. It just doesn’t work. Look at the 1930s. It didn’t work then and it won’t work now. Government guarantees challenge reality and reality always wins. As a result of Fed policy we have corporatist fascism at its worst. Day by day we attract less foreign capital and that is because any semblance of free markets are gone. All the Fed has done is rescue its owners and other connected elitists and such a plan is doomed to failure." I wrote the first of these "Year Ahead" columns  two years ago because I expected the coming collapse (described earlier in Destruction by Paradigm , March 2007) to begin in earnest during 2008. I saw epic debt levels, massive monetary inflation (not just in the U.S. but on a global scale for the first time in history), resource depletion (especially for oil, metals, and fresh water), government encroachment into almost every area of life, growing levels of corruption in and out of government, pollution of both freshwater sources and the oceans, and a host of other problems coalescing into an unprecedented storm – a dark tipping point poised to bring poverty, tyranny , hunger , and homelessness to millions of formerly middle class families. Just saying that out loud sounds extreme – things couldn't get that bad, could they? – but in fact that much has already happened and the storm has just begun. Both the mainstream media (including their favored "experts" and commentators) and the general public saw things differently two years ago – and still do . Businessweek ran a story on December 29, 2009 titled U.S. Economy: Confidence Rises as Consumers See Brighter Future , which suggests (to me) that the combination of reinflation by the Fed (i.e., massive monetary creation) and its immediate effects – partial reinflation of stock prices and a slowing (in some places, a slight reversal) of the ongoing real estate crash – plus the constant assertion in the media that the worst is over – have worked their magic. Americans don't see the job picture improving much anytime soon (and they're right), but they have more confidence than they did a few months ago. That will change in the coming year, as the Frankenstein economy – long-dead but artificially reanimated using bizarre, harmful, and unsustainable means – goes into cardiac arrest. Propaganda, denial, and fiat money creation can only do so much, and as the old world crumbles, it will become ever-harder to sustain the illusion of normalcy. Consider what we've already been through: Roughly $60 trillion in wealth evaporated in 2008 as stocks crashed , real estate prices tumbled, and huge banks and other financial institutions failed (including Lehman Brothers  – the largest bankruptcy in history up to that time [edit 1/8/2010: actually, it's STILL the largest] – and the insolvent Bear Stearns , sold to J.P. Morgan for $2/share, down from $172/share in early 2007). A sobering 2.6 million  American jobs disappeared in 2008, even using the heavily-massaged official numbers. Shadowstats.com  shows a current unemployment rate of 22% versus the official rate of about 10% – see chart below, which also makes clear that unemployment continues to worsen, and very dramatically. In my second Year Ahead column , I quoted Kurt Kasun on the disaster of 2008, who pointed out (in Not Your Grandfather's Depression ) that "This is beyond rescue. It is virtually impossible to overstate the dire consequences resulting from the severity of the declines recently experienced in almost all asset classes – from both a technical and fundamental viewpoint." Kasun did not believe the worst was over, and neither did I. The collapse continued and indeed, 2009 has been even worse in many ways. GM and Chrysler went bankrupt, job losses continued to mount (again, see chart above), the national debt grew higher than ever and is rocketing higher-still, the real estate meltdown continued, and – per Ringo's Law  – everything the government has done to "help" with this ongoing disaster has made things worse, to the point where avoiding a serious, long-lasting depression is now, I believe, impossible, even if we were to start doing everything right – and how likely is that? Despite the boom years of mid-decade (the "housing bubble years," more accurately), the disasters of '08 and '09 have made the last ten years the worst decade for the U.S. stock market in its 200 year history , per the Wall Street Journal. Not even the Great Depression was as bad for stocks as the 2000s have been. This is despite the market being up dramatically  for the year so far, at least in nominal terms, although still well below its former highs. Hoo-boy! Stock market nirvana! What a boom! The chart makes it appear that Zimbabwe investors were richer than Croesus , richer than Bill Gates, richer than Saudi princes. The reality was quite different. As recently as 1980, the Zimbabwe dollar was worth more than the U.S. dollar, but by January 2009, Zimbabwe had degraded its money to the point where it was forced to issue a $100 Trillion bill – see image below – that was worth "about $30" per the BBC . Many people in Zimbabwe were trillionaires, but most were still poverty-stricken and hungry. Is the U.S. dollar headed into hyperinflationary Zimbabweland? You be the judge: Below is another chart from Mises.org, in this case from Monetary Base  by Briggs Armstrong. The resemblance to the chart above is – well, probably just a coincidence. America is NOT Zimbabwe, after all. America is special, and such things can't happen here. Inflation by the Fed may keep the Dow and other stock exchanges moving higher, which nearly everyone will interpret as meaning "things are getting better." Yet the Zimbabwe experience (and others like it throughout history) shows that nominal investment values can rise to the stratosphere even as an economy is dying and people are starving. Because today EVERY major currency on Earth is a fiat currency, similar problems afflict every nation. Mostly for this reason, the dollar will periodically gain in strength versus other benchmark fiat currencies and at times even against gold and commodity goods. Such moves are the normal zigs and zags of market activity; things seldom go up or down in a straight line. The long-term trend is clear: all fiat currencies are being inflated (as fiat currencies always have been in history) and are thus losing value over time. While it is theoretically possible for the U.S. to stop creating new dollars via the Fed, the result would be a complete inability of the U.S. to pay its bills, including – soon – even just the interest on the federal debt (see later in this essay). Foreigners are no longer very interested in buying more U.S. debt to fund our deficits and our wars, so even "borrowing" means creating money by the Fed to buy Treasuries with (called monetizing the debt, and not something the Fed or the government admits to, but evidence is strong  that this is happening). Clearly, the real estate disaster is far from over (and we haven't even mentioned commercial  real estate – another looming horror story – or the disappearance of home equity credit lines  or the real estate implosion in Dubai , with effects that go far beyond the Middle East). We are merely in the eye of the storm; the next wave of defaults is already locked into place. BusinessWeek has called option ARMs (the massive tan-colored lump underlying the spike on the right side of the graph) "Nightmare Mortgages " and says "The option adjustable rate mortgage (ARM) might be the riskiest and most complicated home loan product ever created." As the chart above suggests, such mortgages have become very popular; for example, the San Francisco Chronicle reports that the Bay Area alone has almost $31 billion of option ARMs  waiting to reset. Nearly 20% of all home loans in the SF Bay area during 2004 – 2008 were option ARMS, and more than 27% of those loans are already "60-plus days delinquent or in foreclosure." In some nearby counties, the numbers are significantly worse. "Nationally, 35 states and Puerto Rico expect to have $56 billion less next year than they will need to pay for all of their programs, according to the National Conference of State Legislatures. In Nevada, Arizona and New Jersey, the difference amounts to more than one-quarter of their budgets, the conference said. Funds from the $787 billion federal stimulus bill passed in February run out at the end of next year." That last sentence suggests the pain will continue into 2011 and beyond, and with the government using more of what caused our economic problems (over-spending, over-printing of money, over-regulation of the economy, etc.) to supposedly fix the problems, that seems a good bet. For another way to see the ongoing train wreck of job loss in America, here's a sobering, animated map of the county-by-county rise in the unemployment rate  2007 – 2009. In about 29 seconds of running time, this short animation clears up any confusion about how things are really going in the U.S. economy. In plain language, the economy is falling off a cliff. Does the Data Support a Recovery in 2010? Will things improve as the option ARM hurricane gets underway? Will American consumers (who used to be "citizens") start spending again despite not having jobs? Will homeowners find replacements for the home equity loans that let them maintain spending levels during the real estate bubble? Will the unemployed be buying iPods (or food , for that matter) when the states run out of money for unemployment benefits? Will increased competition for oil, food, and other resources from growing economies and growing populations in Asia somehow fail to push prices up in the West? Will the stunning debt levels in this country, from the federal government down to state, county, and local governments, from General Motors down to one-person shops, and from Donald Trump down to the Little People like you and me – will all that crushing, suffocating debt somehow NOT impede our economic recovery? Are better times just around the corner , as we hear so often in the lamebrain media? "The world has not seen such debt levels in modern history. This debt is not serviceable. Imagine that total debt is 557% of GDP [as Dohmen documents that it is], without considering entitlements. [Bold added, because – well, read those last three words again . . .] The interest on the debt will consume all the tax revenues of the country in the not-too-distant future. [Again, bold added] Then there will be no way out but to create more debt in order to finance the old debt. "It assures a period of economic devastation. In a last, desperate attempt, politicians at the federal and local levels will raise taxes to astronomical heights to raise revenues. And that only assures destruction of the economy. Forget the fable of economic recovery. Unless there is a change [ha!] in Washington by next year's election, there will be no way to turn back." That sounds grim, but it's not grim enough. There is already "no way to turn back." That time is over. Economist John Williams of Shadowstats.com  says flatly that we have passed the point of no return; for the scariest 30 minute interview (mp3 audio) you've probably ever heard, click here  for Williams explaining why there is no way to fix the current situation: the system is going to crash, "no more than five years down the road" and probably sooner. Williams sees Zimbabwe-style hyperinflation coming, where the U.S. dollar becomes worth less than a sheet of toilet paper. The word "panic" is used more than once. (One of Williams' practical tips: hoard those little airline bottles of scotch or vodka for change and for small purchases after barter has replaced the current financial system). Most Americans will not believe that hyperinflation is possible in the United States until it is already underway, but Williams (among other experts and informed commentators who I respect) insists that hyperinflation is now inevitable. Hyperinflation has happened many times in history and the Fed is hyperinflating the U.S. money supply as you read this. Also note that the corrupt authorities, news sources, and commentators most Americans rely on have been consistently wrong about nearly everything related to the economy for years – they didn't foresee the dot-com bubble and crash, the housing bubble and crash, the swooning stock market of the last ten years, the roughly four-fold rise in gold  prices during the same period, or the massive stock market crash and financial industry implosion of 2008, for just a few examples. In light of all that, I strongly suggest readers give serious consideration to Williams' predictions. If America went through a crash similar to the fall of the Soviet Union, or suffered hyperinflationary economic destruction on par with Zimbabwe's or the Weimar Republic's – what would you do? What would you want to have already done before the SHTF? Food: About 37.2 million Americans are now receiving food stamps  (although the food stamp program was recently renamed the Supplemental Nutrition Assistance Program, or SNAP). In a nation of 308,200,917 souls  (as of 12/21/2009, per the Census Bureau), that's about 12% of the entire population unable to feed itself without help. The number of people on food assistance is up 18% for the year and up 35% since 2007. This would clearly be a bad time for a major food shortage (which would raise prices, among other things), and the official word is: We don't have to worry about one. Then again, for those who haven't been paying attention, the official word is often wrong. Why would misreporting by the USDA ensure a catastrophe in 2010? By corrupting the information function of the market. Higher prices (which we should be seeing, and would be seeing if it was widely known that a shortfall was coming) would encourage lower consumption, which in turn would leave more foodstocks in reserve for the lean time to come. Instead, the USDA's overblown production figures create artificially low prices today which lead to over-consumption, leaving less food in reserve for the coming year – which would be very lean even if the world wasn't over-consuming food today. Because we are consuming more than we would be if we had accurate information, tomorrow's shortfall will be much worse than it would otherwise be. 2009 itself was not a good year for foodstocks, and deCarbonnel is not the only person concerned about the problem. In Why Britain Faces a Bleak Future of Food Shortages , the Guardian quotes Britain's chief scientist, John Beddington, as calling the problems of water scarcity and food shortages "a perfect storm" that will cause severe problems around the world. The growing world population is also a major issue: "We are going to have to produce as much food in the next 50 years as was produced over the past 5,000 years," says Professor Mike Bevan. Science and a relatively free market averted mass famine in the ‘70s and ‘80s with the Green Revolution; the question is whether that feat can be repeated, especially with less-free markets, bio-fuel mandates crowding out food crops, restrictions on greenhouse gases and other government-imposed handicaps, and shortages of water, oil, arable land, and fertilizer. Increasing numbers of people think the answer will be "no." Are deCarbonnel and others right about a food crisis just around the corner in 2010? (Or if not 2010, then another year in the near future?) We'll know soon enough. In the meantime, deCarbonnel's article in particular is worth reading; it includes a great deal of data I haven't seen elsewhere (and about more than just food) and does a good job of calling the official story into question for several reasons. If the shortfall is even half as bad as deCarbonnel expects, the number of Americans – and others around the world – who cannot afford to feed themselves could grow substantially. The freshwater shortage is already a crisis in many places, and this ongoing problem will get substantially worse in coming years. I haven't seen anything to suggest a sudden worsening of the freshwater problem, but as population grows and freshwater sources are drained by over-use and polluted to dangerous levels, the steadily growing shortfall will become acute in more regions and eventually, at least in terms of side effects, even in areas that still have plentiful water supplies. Unlike oil, water cannot be replaced by other resources: Human beings and their crops and farm animals must have water to survive; water is also needed for manufacturing, for tar sand and other energy-source harvesting, and for many other uses. The knock-on effects of a global water shortage will impact the economy of every nation in addition to the more obvious and direct problems. Oil prices dropped from $147 per barrel into the low $30s in response to the financial crash of 2008 (at which point oil was still about three times more expensive than it had been in 1998 when oil averaged $11.91 ; for further historical perspective, oil was $1.37 in 1946). As I write this, 321energy.com  is showing oil at $79.29 per barrel. Evidence for the reality of peak oil continues to mount: new sources of oil will almost certainly not be sufficient to replace lost production in a timely fashion, and will be far more expensive than conventional sources in any case. See energyfiles.com  for charts and data on every oil producing nation, and note the downslopes for oil production in chart after chart; forecasts and "estimated reserves" may say otherwise, but actual data says the world has already peaked for oil production. Theoildrum.com  is another good resource on the topic. 2010 may or may not see higher oil prices – another financial crash may bring enough demand destruction to forestall higher prices or even lower them again – but higher prices over the long term seem inevitable. ". . . Now the 'peak oil' theory is gaining support at the heart of the global energy establishment. . . .
"'Many inside the organisation believe that maintaining oil supplies at even 90m to 95m barrels a day would be impossible but there are fears that panic could spread on the financial markets if the figures were brought down further.'" The story includes the chart below based on the now-suspect IEA data; note that even here, production for "currently producing fields" is falling off a cliff, while most of the oil that supposedly will replace lost production (plus fill increased future demand) is from "fields yet to be developed" and "fields yet to be found." Good luck with that, as they say. Each of the factors above also puts upward pressure on the prices of imported goods in America, but the biggest and most immediate problem for Wal-Mart shoppers (other than having lost their jobs and perhaps their unemployment benefits) will be that as the dollar drops in value, foreigners will want a LOT more of those worthless dollars for the goods they send us. (Wouldn't you?) Various factors – including both normal market efficiencies and the wholesale replacement of Western manufacturing by Chinese manufacturing – have kept price inflation somewhat in check for decades despite the Fed's monetary inflation, but those anti-inflation forces are about used up: the market isn't as "free" as it was even ten years ago (see Eric Janszen quote below) and there isn't much manufacturing left in America to outsource. That, plus various other factors, including especially the fed's recent shift into hyperdrive for monetary creation, ensure higher prices – soon. "The U.S. economy is a madhouse of tax, regulatory, and monetary policies geared to special interests. To the Military Industrial Complex add the Banking Industrial Complex, Health Care Industrial Complex, Education Industrial Complex, Real Estate Industrial Complex, and on and on." iTulip's Eric Janszen, in "Asylum Markets of the post FIRE Economy – Part I: Locked Up "
First, that 2010 will follow in the new tradition of each year being worse than the one before, at least by most measures and for most Americans. Higher prices, even measured by the government's official CPI figures, will be one of the problems; ongoing job losses will be another. The torrent of foreclosures will continue and worsen before eventually (probably not in 2010) leveling off. Government services and safety nets will suffer just as they are needed most; the Baby Boomers are retiring just in time to learn the hard way that their Social Security and other "safety net" taxes were stolen by politicians and spent on war and other nonsense. With or without "health care reform," quality medical care will be harder to come by. The dollar may strengthen against other currencies or not (remember that other currencies are also fiat and are being inflated), but dollar debasement will continue. Confidence level: 95%. Second, that America (and a great many other places, especially in the West) will not see a return to the high levels of prosperity we once took for granted – ever (confidence level: 80%). By "ever" I mean "in the lifetime of anyone reading these words," even if some of my readers live to be really, really old – wrinkly, stooped-over, shuffling-down-the-hall old. Actually, it might be "ever" as in "never to be seen again, even in a million years," but that's too far out for reasonably accurate prediction, so I'll just say it's a possibility (for reasons that should be clear from topics discussed in this column – dramatic global population growth, peak oil, and other "peak" resource problems – for water, metals, and more, and for reasons mostly related to runaway mal-tech and environmental issues) and leave it at that. Third, that within the next few years – five or six at the outside, but possibly in 2010 itself – America will suffer a fall of such magnitude that this country will become almost unrecognizable. At some point the destruction of both our economy and our liberty will become so profound that a dramatic event, probably sudden rather than gradual, will occur and will mark the end of one phase in this nation's history and the beginning of another. Hyperinflation will be a major element in the tipping point (or possibly a sudden official devaluation, or replacement of the dollar with the Amero or some other new currency). Like the fall of the Soviet Union, this event will be clear and unmistakable, although its exact character will differ from the Soviet experience; for one thing, the Soviets were far better prepared for societal collapse than Americans are, in part because Soviet society had been in a state of near-collapse from Day One after the revolution of 1917 – collapse was not a new issue for Soviet citizens; they'd had 70 years to adapt. Americans have instead adapted to levels of prosperity never before seen in history, and the effects of a collapse on Americans, in general, will be horrific. Government response to the situation will make things worse, and will almost certainly be incredibly repressive. Confidence level for this third prediction: 65%. I believe the data presented above (and much other available data) support such unsettling predictions all too well. Hard times are coming – and that's if things go as well as possible from here. Much worse is coming – much worse than another Great Depression – unless major, positive change begins soon, and so far I do not see that happening. I hope I'm wrong, but I fear that I am not. 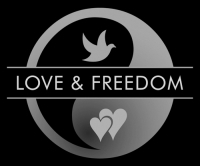 2010 and the years beyond look to be harsh times for love and freedom, as well as for the more tangible elements discussed in this column. That is especially troubling because, as I have written before (for instance in The Two Great Evils and the Hammer of Infinite Power ), today may be the last chance for us to prevent a disaster that cannot be undone, such as a long-term or even permanent destruction of modern civilization, a hypertech-enabled tyranny, or even an extinction event for the human race. Rapidly-advancing twenty-first century technology, combined with environmental and other challenges, make such dangers all-too-real, as many scientists and others have pointed out. It may not be too late, but it is certainly late in the game. If we are to salvage not only America as a reasonably free society but finally realize the idea of America – the idea of a civil and compassionate society where people are truly free from tyranny and from systematic injustice – then we must use the chaos that is coming to our advantage. We must find ways to replace the pro-tyranny "government is compassion" and "coercive government is necessary" memes with the truth: that love and freedom require each other , and that civil society requires especially that the young  (pregnant mothers, newborns, infants, and children) be treated with compassion and respect. Love and freedom are the cure – the only cure – for what ails us. We either begin to understand that and to apply it, or we, and our children and grandchildren, will suffer the consequences.